In this file photo from Dec. 7, 2017, House Judiciary Committee member Rep. Jim Jordan, R-Ohio, questions FBI Director Christopher Wray. The wrestler, Shawn Dailey, said he was groped half a dozen times by Dr. Richard Strauss in the mid-1990s, when Jordan was the assistant wrestling coach. Dailey said he was too embarrassed to report the abuse directly to Jordan at the time, but he said Jordan took part in conversations where Strauss' abuse of many other team members came up. 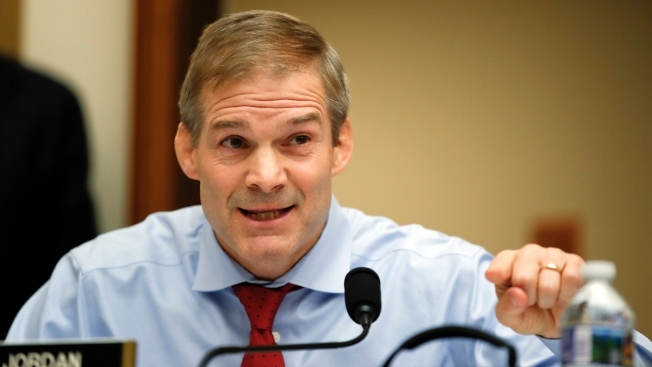 Dailey spoke out two days after NBC News reported that three former wrestlers who were coached by Jordan more than two decades ago accused the GOP congressman of turning a blind eye to Strauss' alleged abuse and then lying about it. Jordan did not respond to request for comment after Dailey's remarks but has denied knowing anything about the abuse.